AJ Produkter is a long-established supplier of office and workplace furniture, school furniture, lockers and changing room facilities, canteen furniture, shelving and racking, premises management equipment and much more. 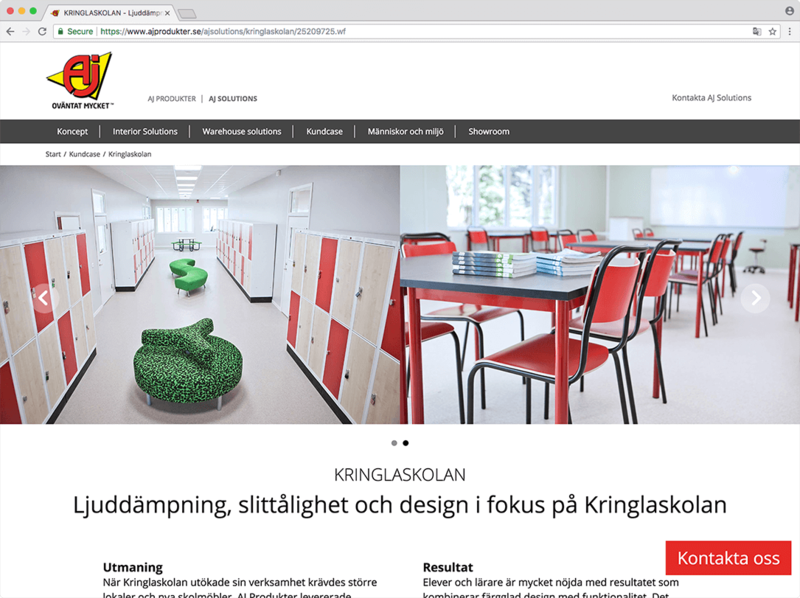 Established in Sweden in 1975 by Anders Johansson, the AJ Group is now represented by 26 companies across 19 European countries with two factories and over 800 employees. 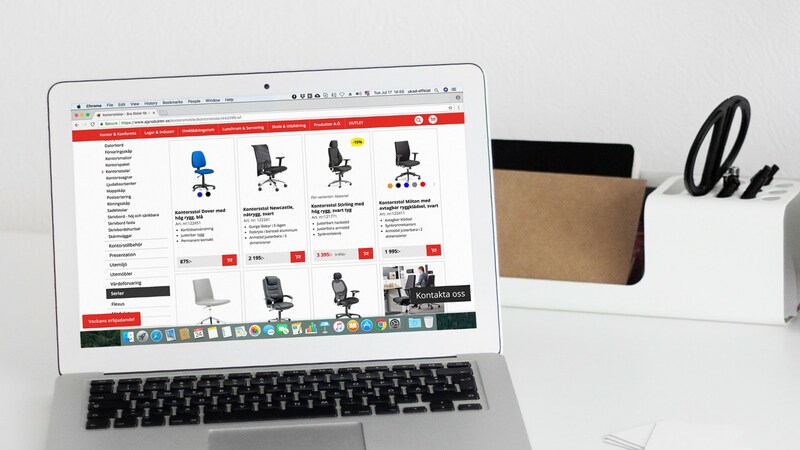 Their wide range of modern furniture with smart features designed to improve ergonomics and increase efficiency in order to be a one-stop shop for all workplace needs. 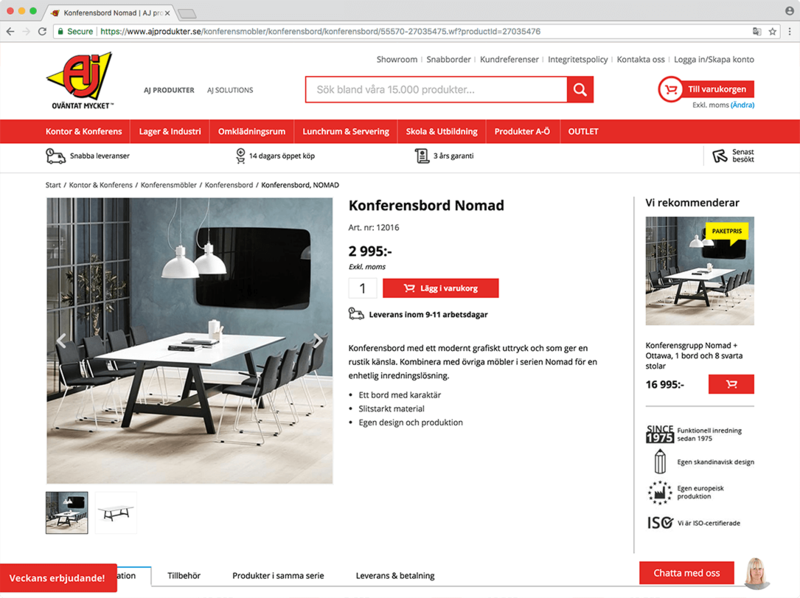 They have taken the Swedish entrepreneurial spirit and successfully exported it to Western, Eastern and Northern Europe. AJ Produkter was looking for a reliable digital partner, professional engineering team who could handle the scope of their company's business strategy technical implementations. They decided to focus on a nearshore cooperation model with a Ukrainian company. Ukraine was chosen as a desirable location because of its high technical standards, nearshore time zone and reliable management. After a research of Ukrainian outsourcing companies, AJ has chosen UKAD due to our big experience of cooperation with Scandinavian countries, and a decisive list of positive reviews from the Swedish Сustomers. By the time of the request, the main marketing channels for AJ Produkter were offline. 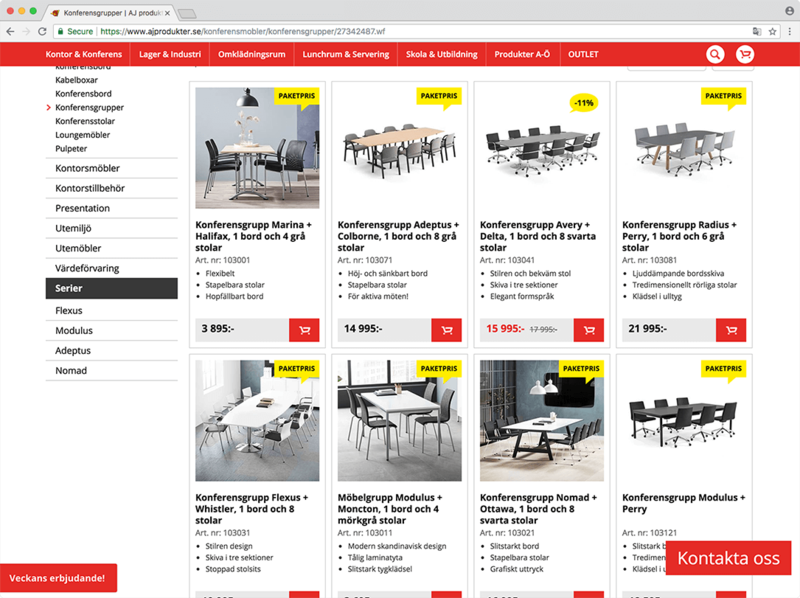 Our Client wanted to widen their business opportunities digitizing the business and involve modern web-solutions to engage and inform potential and existing buyers about the products. They also were looking for some modern tools to optimise work of their big international content management team. UKAD collaboration with AJ Produkter turns into a fruitful long-term partnership. The close teamwork was enriched with the Customer’s business and design experience and UKAD engineering team technical expertise. Our long-term digital partnership led to significant results. 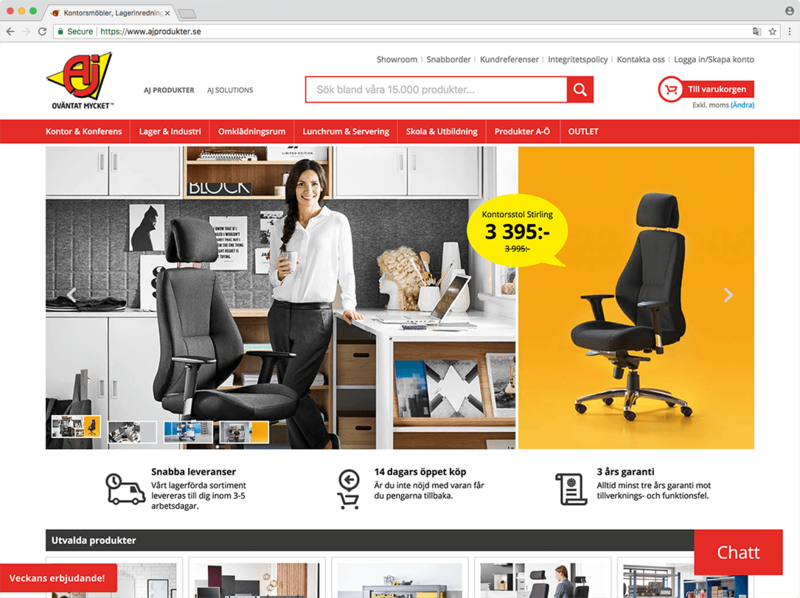 The website modernisation (new design, high performance, smart search, product suggestion based on machine learning algorithms, delivery time calculation) increased online sales two and half times (online channels outperformed the offline ones). AJ Produkter has created an effective content strategy and increased their customer's satisfaction and engagement with the help of additional informational resources built by UKAD IT specialists. Our cooperation with AJ Produkter lasts for more than seven years. Our team serves as a Client’s remote R&D department and nearshore Digital Partner in Ukraine.